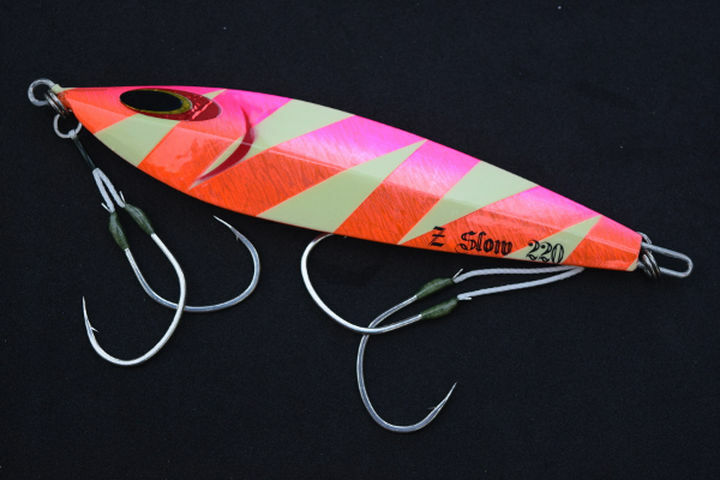 Click the button below to add the Sea Falcon Z Slow Jig to your wish list. 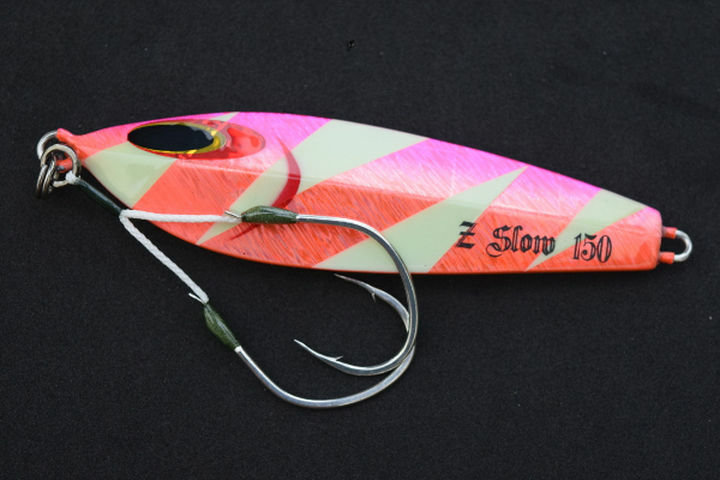 Made in Japan with premium components and hand painted finishes, this jig is specifically made to be used when slow pitch jigging. This jig is extremely responsive with even the slightest turn of the handle creating an enticing action on the swim up and falls to be eaten. The 150g model is 4" long, the 180g model is 4.5" long and the 220g model is ~5.25" long. Please note that the photos are not entirely representative of each product in terms of size, please contact us if you have any questions. Below are photos of recommended rigging, but if you have any questions on a particular jig feel free to contact us.